Calculate your monthly auto loan payments. Enter a monthly payment to calculate loan size. Click on the right side of any of the following sections to expand & read that section. When an individual buys a car, they are typically buying the transportation they will rely on for years to come. For most people this is a major investment, second only to the purchase of a home. Most drivers intend to own the car for a long while. After all, few people have the resources or options to upgrade their vehicle often. The average auto loan hit a record of $31,455 in the first quarter of 2018, with the average used car loan running $19,708. Americans have over $1 trillion in motor vehicle credit outstanding.The following table from Experian shows how much people with various credit ratings typically are charged for loans. The first factor to consider is the motivation behind the purchase. For example, if the individual owns a car that is relatively reliable, even if it is older, they need to weigh the costs of purchasing a new one. If the vehicle is paid off, purchasing another one may entail adding a monthly expense to their budget. If the individual simply wants another car to enhance their social status, careful consideration should be given to the costs of purchasing another vehicle. In addition to the purchase price and possibility of monthly payments, insurance costs may rise. For example, if the vehicle to be purchased is a newer model and it is financed through a bank or finance company, the owner will be required to carry full coverage insurance. With an older vehicle that is paid off, the owner may carry liability only. Not only must the owner consider the possibility of the montly payment, or a larger payment, to their existing budget, they must also consider a rise in insurance premiums. If considering the purchase of a new car, the buyer must remember it will depreciate the minute the vehicle is driven off the lot. This means that if the buyer finances , as soon as they drive it home, they will likely owe more on the loan than the vehicle is worth. In addition, payments may be quite hefty, depending on the terms. Add in the full coverage insurance and the costs may be quite significant. Careful consideration must be paid to whether the individual wants to purchase a new one or keep their existing automobile. If their existing vehilce is no longer reliable, the choice may already be made for them. If the owner is facing a costly repair, purchasing another one may be the most cost effective way to fulfill their transportation needs. If their existing car runs well and it is either paid off or the payments are low, the individual must carefully weigh the costs of purchasing even another used vehicle. Having shiny objects that you can barely afford is a far more stressful lifestyle than living below your means and having a safety cushion. It might make sense to keep driving the old car & save up capital for a larger future down payment, especially if you have the ability to fix minor issues when they come up. For used vehicles, particularly if those five years old or older, the purchaser may be buying a few problems. For example, the timing belt generally gives out at about 75,000 miles in many vehicles. The purchaser can never really be sure how well it has been maintained, unless, of course the seller produces all maintenance receipts. When the individual keeps their existing vehicle, they are usually familiar with the car and know how it has been maintained. Careful consideration must be given to whether giving up the existing car for a newer one will be worth the transaction. Will the costs of payments, insurance and maintenance fit into the monthly budget? Weigh options carefully before committing to a purchase. 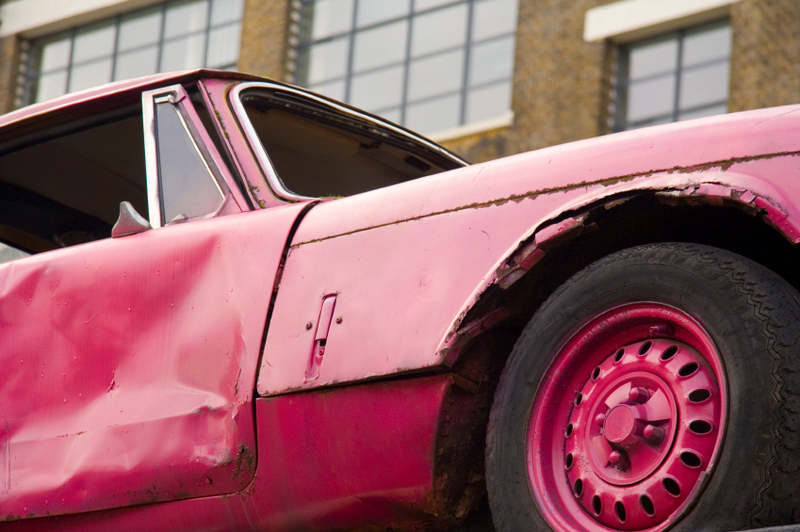 When Does It Make Sense to Trade In Your Old Car Versus Keep It? Depending on the make and model of the old car, it may or may not get a good price on trade-in. An owner would be better off keeping it rather than giving it to a dealership on a low priced trade-in. However, some dealers offer specials where they will pay a minimum amount of money for any trade it. If an old car is only worth $1500 according to Blue Book value, and a dealer runs a special where they will consider any trade-in to be worth $3000, it may make sense to trade it in. If a dealership offers considerably less than the old car is worth as a trade-in, it probably makes more sense just to keep it. Owners may sell directly as a private owner and receive a selling price closer to the actual book value. When a buyer is in the market for an upgrade, they would benefit from shopping their old car around to different dealers to see which dealership will give them the best trade-in price. If it has some value, but no dealership offers a decent trade-in, the owner should consider just keeping the car. Even when a dealership offers a “fair” trade-in value, the old owner will most likely receive more if they sell as a private owner. Another factor to consider when planning to purchase a new car, is whether to lease or buy the vehicle. Though many individuals believe that if a vehicle is leased, when the lease expires, they have nothing to show for the months of payments and the downpayment, if applied. However, there are many advantages to leasing a new car. The first advantage is that the purchaser does not shoulder all of the costs of initial depreciation. When a new car is purchased, it immediately depreciates when the owner takes possession of the vehicle. If the owner attempted to sell a week after they purchased, the sales price would be much less than the price they paid. When an individual purchases an automobile, they assume all of the costs of depreciation, as well as rest of the value of the vehicle. Essentially, when an individual leases, they are paying ONLY for the initial depreciation and not for the car’s full value. This translates into lower payments than if they purchased it. Even if the individual has excellent credit, their payments will be higher to purchase a new car than if they leased it. This is mainly due to the fact that with leasing, only the initial depreciation is charged to the lessee. When an individual leases, the downpayment is generally low. In fact, many times the lessee may negotiate the downpayment with the dealer and, in some cases, it may even be eliminated. However, as with purchasing, the more of a downpayment that is applied to the lease deal, the lower the monthly payments will be. Finally, when the lease has run its course, the individual simply returns the car to the dealer and selects another one to lease. A car lease will extend for a term anywhere from two to four years. At the end of the lease, the return of the car to the dealer is simple and straightforward. There is no haggling or selling involved and the transaction is a smooth one. The lessee does not need to be concerned with getting a good trade-in price for the car. The main advantage to purchasing versus leasing is that when the automobile is paid off, the individual owns it. However, the owner has shouldered the entire cost of initial depreciation, as well as the depreciation that has occurred over the course of the loan. If the individual had less than stellar credit when they made the purchaser, they were likely charged a high interest rate on the loan. This likely translated into payments that were much higher than if they would have leased it, and the payments may have even extended over five or more years. Leasing a vehicle alleviates much of the stress and trouble of owning an older vehicle, particularly if needs a reliable form of transportation and can afford to have a constant monthly payment. Some small businesses who use the vehicle for work may also be able to write off lease-related costs as business expenses. Buying new has its advantages, such as the fact that it has never been previously owned. It has that “new car smell” and everything about it is brand new. The engine is clean and the interior has no stains, burns or defects. However, the individual who purchases new pays a much higher price than if they had purchased the same make and model used. Lower Purchase Price: A used vehicle will cost significantly less than a new one of the same make and model. Depreciation: Vehicles depreciate at the fastest rate within the first three years of ownership. This simply means that the person who purchases new will pay for this depreciation. Depreciation runs about 40 percent of the original value within the first three years of ownership. After three years, the rate of depreciation slows. The person who purchased new has assumed the most significant portion of the depreciation. Many individuals insist on purchasing automobiles that are at least one year old simply to avoid the accelerated rate of depreciation that occurs during the first year of ownership. Sales Tax: Many people may not be aware of the significance of sales tax when they buy a vehicle, because it is often rolled into the financing. Because the sales tax is simply figured into the purchase price, the purchaser may not have a grasp on just how much they are paying. The initial sales tax has been paid by the original buyer so when they later sell, no sales tax is applied on their trade in. Financing Charges: When a used car is financed, the finance charges and fees will typically be significantly less than those for a new vehicle. This is due to the fact that the amount that will be financed is significantly less. Even if the loan APR on a used vehicle is higher, applying it against a much smaller purchase price yields a lower cost of financing. Registration and Licensing Fees: Because licensing and registration fees are usually tied to the value of the car, these fees will be less for a used car than for a new car. Though it is worth mentioning some states have emissions yearly tests which newer models may be exempt from while older vehicles must be tested more frequently. Insurance Premiums: Insurance premiums will be higher for new cars because the higher value which must be covered. Because the value is figured by the insurance provider based on the purchase price and the amount financed, insurance premiums will be higher for new cars. People who buy used are not only insuring against a smaller vehicle price, may be also able to buy a cheaper collision policy rather than a broader comprehensive policy which is required while the vehicle is financed. There are several advantages for purchasing used instead of new. However, purchasing used does have a few disadvantages, too. For example, the vehicle typically will no longer be under any type of warranty & third party warranty services can be quite expensive. It may also have significant wear and tear on the engine and other vital drive train parts, especially if it has been used as a fleet vehicle or owned by an individual who traveled a great deal, such as a sales professional. When purchasing used, if you want to avoid expensive repair fees it is typically best to purchase something that is only two or three years old with low mileage. On average, cars clock about 12,000 miles per year. If a three year old vehicle which has over 100,000 miles on the engine is probably not a good bet. A two year old used vehicle should have at most about 24,000 or 25,000 miles on the engine and a three year old should have no more than 40,000 miles on the engine. Additionally, the make and model is an important consideration. Some cars handle high mileage better than others. For example, the Toyota Camry is known to handle high mileage quite well. Some owners have clocked over 300,000 miles on their older Camrys. Though purchasing used may not provide the buyer with the same thrill as purchasing a new car, purchasing used has many cost advantages - so long as you don't buy a lemon. One way to ensure you buy a quality used car is to purchase one certified by a manufacturer. For example, Toyota offers certified vehicles at their dealerships. The certification process guarantees they are inspected and repaired, if needed. These often come with an abbreviated warranty, such as a 90 day warranty. If the purchaser has any problems during that period, they are able to return it to the dealership for repairs or replacement. Certified used cars typically cost slightly more than buying from a private individual. However, the peace of mind resulting from purchasing certified from a reputable manufacturer or dealer gives the buyer a level of protection against a lemon. When the buyer is ready to purchaser, there are many factors to consider before meeting with a salesman or a private seller. By spending some time doing a little preparation work, the buyer will be able to save money on the vehicle, the loan, and on insurance premiums. With a little forethought, the buyer will be able to make an informed choice about the type of vehicle they need. Purchasing a car need not be a stressful experience. With a little homework and preparation, the buyer will be able to successfully navigate the process. When individuals purchase used, it is important that they take precautions against buying a lemon. A lemon is a car that has problems that cannot be resolved. For example, if it has been through a flood and has undergone extensive water damage, the problem may surface many times in many ways for years to come. The engine and the electrical system may develop problems related to the flooding. Because newer cars heavily rely on computer sensors, these sensors may be damaged beyond repair due to water damage. Unfortunately, many vehicles damaged from Hurricane Sandy had their titles scrubbed and were later sold off at auctions without disclosure! Fflooding is just one example of a lemon. Manufacturer defects may account for problems, as well. One way to buy a reliable option is to examine the general maintanence needs for the car, the maintanence log from the seller and the vehicle history report from an agency such as Carfax. If the car has had damage, such as flood damage, or if it was previously totaled, these issues will show up on the vehicle history report. If the potential purchase is through a dealership, the individual may ask to see the vehicle history report prior to purchase. However, be prepared to walk away if the salesperson does not wish to disclose the report. Purchasing directly from the previous owner allows the purchaser to have a conversation about any outstanding maintanence or performance issues. The purchaser will be able to ask direct questions about why the seller is selling and if there are any problems. Those who are skilled at picking up nonverbal signals may find that questioning the owner is helpful in identifying potential issues. When considering the purchase of a certain used car, perform as much research as time will allow on that particular make and model. By researching a particular make and model, certain patterns may develop. Reviewers and owners may have first-hand information about repairs needed on the car, recurring problems and recalls. Read professional reviews from sites like Edmunds.com and Consumer Reports. Find out everything possible about that particular make and model before making the purchase. Research lemon listing sites to see if that particular make and model is listed. Services like Carfax show background information on automobiles. Finally, when inspecting the used car prior to purchase, check for signs of water damage. If it has been through a flood, there may be telltale signs, such as mud in strange places or water stains in places such as the trunk. If it has been flooded, many issues will probably manifest throughout the life of the vehicle. Some problems that are seemingly unrelated may surface. For example, one individual was forced to replace the speedometer four times over two years. Though the problem was likely related to the sustained water damage, the problem was not identified as being the result of a flood until the owner was ready to sell. Be sure to do the homework required to weed out the lemons prior to purchase. When an individual purchases a lemon without doing adequate research, they may find out only the full background when they attempt to resell it. Whether a buyer is considering new or used options, one important factor in the decision must be fuel costs. As gas prices rise in the U.S., fuel costs have become a salient consideration. Inefficient vehicles, such as large SUVs and trucks, not only cost more for fuel to operate, but in many areas, these large gas-guzzlers are considered environmentally irresponsible. No matter the buyer’s views on the environment, driving a fuel efficient car will save money. Vehicles generally become more efficient over time as new models meet stricter fuel efficiency requirements. If you are a long distance commuter for work, it might be worth paying more for a new vehicle to save on the cost of fuel. Energy efficient cars are generally smaller than full-sized or luxury vehicles. Very efficient options include those that operate with electricity, such as hybrid models. Though most hybrids, such as the Prius, are small and lack power when compared to standard efficiency vehicles, more hybrid models are currently being developed. GM will soon produce a hybrid Cadillac for those who would like energy efficiency in a luxury model. The main drawback when considering the purchase of a high efficiency model is the cost. Hybrid and other high energy efficient models generally cost significantly more than standard efficiency models. Shoppers do not necessarily need to purchase high efficiency models to save money on fuel. Four cylinder engines are more fuel efficient than six cylinder engines. The smaller the automobile, the more fuel efficient it will be. Cars are more energy efficient than trucks and SUVs. If the buyer travels a great deal each week, they must consider the costs of fuel to operate the vehiclel. Sticking to smaller cars and foregoing the SUVs and larger trucks is one way to ensure fuel savings for long commutes. Each vehicle in the U.S. is evaluated for its energy efficiency, though not all vehicles use these evaluation in their marketing materials. Purchasers must research the make and model they are considering to find the two fuel efficiency ratings. Highway MPG is an estimate of the miles per gallon the vehicle will get while traveling on the open road, such as a highway. City MPG is an estimate of the fuel efficiency of the vehicle when driving under stop-and-go conditions. Fuel costs will likely rise over time. In addition, social pressure to reduce each individual’s carbon footprint will become even more pronounced. Purchasers must consider what they buy today will likely be the one they are fueling two years from now. Selecting the most fuel efficient model available will keep operating costs in control. Guard against out-of-control fuel prices of the future by purchasing a smaller, four cylinder vehicle or a hybrid. No matter if the buyer purchases new or used, the car will need to be insured. Unless the purchaser pays cash for the vehicle, they will be required to carry a full coverage policy in order to protect the lender’s interests in the case of a collision, weather damage or if the vehicle is stolen or vandalized. If the buyer purchases with cash and no portion of the purchase price is financed, the new owner may carry liability only insurance. In most states, at least a liability policy is required. However, depending on the vehicle age, buyers who pay in full upfront may still want to consider full coverage. In “at fault" states, liability covers only the other driver and vehicle in case of an accident. In “no fault” states, liability will cover only the minimum required for the policy for property damage and bodily injury. If the car is five years old or newer, the driver probably needs to carry full coverage insurance to make sure they are able to cover the cost of repairs in case of an accident or damage. Whether the driver opts for full coverage or liability insurance, shopping around and comparing rates for similar policies with various carriers is essential for lowering insurance costs. Premiums greatly vary between companies for similar policies. With the Internet, comparing similar policies for several companies is quick and easy. Before the Internet, the task of comparing rates would entail calling each company for a quote for a specific policy. Now, with the Internet, comparisons between companies may be made within minutes. Those who seek to insure a newly purchased vehicle can quickly shop and compare the rates for several companies and choose the company that offers great rates for their products. Car Insurance Discounts: In addition to comparison shopping, there are a few additional ways that individuals may save money on their auto insurance costs. Various discounts are offered by most insurance companies. Such discounts include multi-policy discounts. A multi-policy discount is when a policy holder insures more than one vehicle, or their vehicle and home, with the same company. Other possibilities would include carrying a motorcycle and a car policy, a vehicle and boat policy, and so on. Having more than one policy with an insurance carrier may provide as much as a 20 percent discount on the designated policies. Exploring discounts is a sure way to save money on insurance costs. Various insurance companies offer discounts for different consumers. Good Student discounts may be offered to high school and college students who maintain at least a B average in school. However, each insurance company requires that the student prove their GPA in different ways. Check with the insurance provider and ask about Good Student discounts, as well as other discounts that may apply. Lower Deductibles: Each insurance policy is assigned a deductible. A deductible is the amount the policy is responsible for should they file a claim. Most insurance companies automatically assign a $500 deductible to their policies. This means that if $2000 in damage has been done by a fallen tree, the owner is responsible for paying the first $500. The insurance company provides the owner with the remaining $1500. Many insurance policy holders are unaware that they may raise the deductible on their policy. Raising the deductible to $1000 will considerably lower premium payments. However, the concern is if and when the owner files an insurance claim, they will be responsible for the first $1000 for the damages. Add Young Drivers to the Family Policy: Another way to save on insurance costs is to add younger drivers onto their parents’ policy instead of obtaining a policy just for the young person. Younger drivers, due to their lack of experience with driving, have higher insurance rates. However, when they are added to their parents’ policy, the costs are adjusted for a better rate. Carry Liability Instead of Full Coverage for Older Cars: If a vehicle is older than five years, the owner may consider carrying only liability insurance. Not only are liability insurance premiums less costly than full coverage premiums, full coverage makes less sense the older the car gets. The insurance company will base the amount they pay for claims on the current vehicle book value. The older the vehicle, the less the insurance company will pay on claims. Owners should always have the minimum coverage of liability insurance mandated by their state. Though for older automobiles, having full coverage insurance is often not cost effective. Many people may think that the longer a consumer stays with an insurance company, the better rates they will get as a “loyalty” benefit. Unfortunately, this is not true. In fact, the longer a consumer stays with an insurance company, the less likely they will be to receive discounts and the more likely they are to having extra charges tacked onto their policies. Review insurance policies each year prior to renewal. Make sure that extra coverage has not been added without your knowledge. Renewal time is a great time to shop around for insurance. The owner will likely find that switching to another company will save them money on their insurance costs, especially if they have been with their insurance companies for years. Many Americans do not like to haggle for a better deal. However, haggling is commonplace in some cultures. If a buyer will haggle over the price of a new or used vehicle, they stand a chance of obtaining a better purchase price for the vehicle. Haggling simply means that the purchaser makes a counter-offer to the dealer or seller once they have presented the purchaser with a selling price. Haggling is simple negotiation. Dealers in particular have some bargaining leeway when it comes to the purchase price of their new and used vehicles. When shopping, the purchaser has nothing to lose. They should attempt to negotiate a lower selling price. Even a $500 break is often equivalent to a monthly payment. Buyers should always attempt to gert a better price than the asking price of the seller. For those who are uncomfortable with the prospect of haggling for a better price, some websites offer services that allow users to comparison shop for the same make and model of vehicle. Sites such as CarsDirect and TrueCar allow users to search for a specific make and model in their geographical area. The search results provide the asking prices of various sellers and dealers. The site user may then contact the seller or dealer and even offer a lower price, if the so choose. In addition, sites such as CarsDirect are a one-stop-shop. The buyer may locate a desired make and model, purchase insurance and apply for loans right from the site. Sites like TrueCar show the user the amount others have paid for the make and model they are searching for. Many people may prefer haggling over email or simply comparison shopping for a good selling price instead of haggling in person with a salesperson or a seller over their asking price. No matter the preference of the buyer, they should try to obtain the lowest selling price for the vehicle they choose. Online alternatives make the process less personal and more efficient. Use such sites to see what others are paying for the same make and model regardless of comfort level of face-to-face haggling. 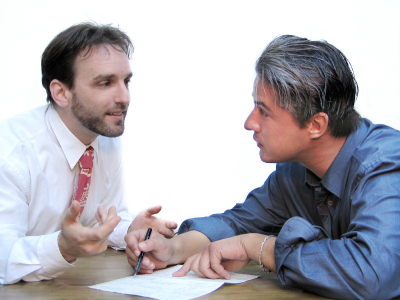 Some people may simply be intimidated with the prospect of being on the seller’s own turf when attempting to negotiate. Sites like CarsDirect and Truecar level the playing field and ensure that the dealer or seller is not able to influence the buyer as with a face-to-face interaction. Even if the purchaser is a talented negotiator, sites such as CarsDirect and TrueCar provide a baseline of data that they should arm themselves with before confronting the dealer or seller. No matter how it is accomplished, buyers are advised to utilize all resources and become educate with regards to an acceptable purchase price before dealing with the seller or salesperson. Just remember that the asking price is often set with room built in for negotiation. In some cases the vehicle you want most might not be available with all the features you want. For that reason it can make sense to be willing to consider used vehicles as well, or to pick out 2 or 3 different options, such that you can compare the best deals for them and chose the one which fits your needs while being the most affordable after you factor in the full operating costs and your typical usage patterns. Generally, most buyers should not accept dealer financing, unless there are compelling rebates that more than offset the typically higher interest rates. Even if the buyer has an excellent credit rating, the dealer’s finance company will likely charge them a higher interest rate than if the buyer were to obtain a loan from a bank or credit union. If the purchaser has less than perfect credit, the dealer finance company will likely charge a very high interest rate for the loan. Dealer financing with 18 percent interest are not uncommon for those with poor or no credit. However, most people are not prepared to pay the full purchase price in cash when they buy, financing at least some portion of the vehicle. Still, a large downpayment will minimize the loan and keep monthly payments down. For those who must finance their vehicles, taking a few months to clean up any credit problems before applying for the loan is advisable. Obtain credit reports from all three credit reporting agencies, which you can do for free at AnnualCreditReport.com. Challenge any information that is not recognized or verifiable. The company that has placed the entry on the credit report has 30 days to respond to a challenge with proof that the creditor owes them what the entry claims. If the company does not respond within 30 days, the entry is removed from the credit report. Here are some additional tips on dealing with poor credit. If your credit has improved since you first obtained financing, you may also want to consider refinancing into a lower rate. You can use this comparison chart to calculate the interest costs & loan payments for up to 5 loans at the same time. Some people who have significant home equity might find the rates on a home equity loan lower than a car loan. Paying bi-weekly can further lower interest costs. Many people believe that the best time of year to buy is in September. For example, the best time to purchase a 2012 model is in September of 2012. This is because the next year’s models are released in September of the preceding year so in September of 2012, the 2013 models are showing up at the dealerships. The dealers will make better deals knowing that they need to clear out the inventory to make room for the 2013 models. Dealers will often offer “year end” sales on the previous years’ models. Edmunds recommends that the best time of year to purchase new is during the holiday season. The reasoning for this is that dealerships are not selling as many new vehicles during this time of year and the odds of getting a good deal are in the buyer’s favor. Edmunds also recommends that buyers will get a better deal if they purchase at the end of the month, when dealerships are trying to meet sales quotas to get bonuses from manufacturers. One responder to a survey about when the best time of year to buy suggests that during the Superbowl is the best time of year to buy. This person apparently went into a dealership when the salespeople were gathered around a TV watching the game. The salesman gave the purchaser a great deal in record time, and did not try to sell the customer any extras, simply to get back to watching the game. Though this study is anecdotal, it does give shoppers something to think about. Other experts believe that any time of year is the best time for purchasing so long as you are flexible with your options. The fact is, buyers may negotiate good deals any time of the year. Dealerships will often offer special sales on particular makes and models, or they may have sales over a period of time. As long as the buyer does their homework and shops around for the best deals, and they are able to negotiate a good purchase price, any time of the year can work. Many buyers do not consider the question of manual versus automatic transmission. If the buyer purchases a car with a manual transmission and does not yet know how to drive it, they might damage the clutch in their attempts to learn, racking up a large repair bill before they even begin to enjoy it. However, a friend or family member will likely teach the buyer to drive a manual before they purchase. A manual transmission vehicle will get better gas mileage than an automatic transmission. However, the trade off is that a manual transmission is more cumbersome to drive in heavy city traffic. With the constant clutching required to shift and down shift, automatic transmissions are often preferred for driving in heavy city traffic, especially in cities that are hilly like San Francisco. People who drive manual transmission vehicles often claim that a manual gives them a sense of control over the vehicle. This could be that the driver has more control by deciding when to shift to a higher or lower gear. However, a down side of the manual transmission is that eventually the clutch will need to be replaced. Clutch replacement is a standard part of maintaining a manual transmission vehicle. Clutch replacement can be a fairly costly procedure. The car purchaser must weigh all considerations when choosing between a manual or automatic transmission. A consideration when shopping is how the car will fit into life plans in the future. For example, if the buyer is engaged and plans to get married within a year, they might not want to consider a two-seater sportster. If the buyer has children, their decision should be influenced by the needs of the children. A minivan or SUV might be the proper transportation for a family with children that will need to be shuttled to and from school and activities. Buyers should take an inventory of what their life may look like within the next year or two. If there is a chance that they will have a family within that time, they might want to consider purchasing a vehicle that is family-friendly. If the buyer is facing “empty nest” syndrome, now might be the time they invest in that sports car. Regardless of the life circumstances, these circumstances need to be considerations when deciding the type of vehicle to purchase.